It can happen in what seems like an instant: Life is rolling along according to plan and all of a sudden there’s a pothole in the road. You need cash — quickly. While there may be options available, there is only so much plasma that you can sell before you risk your health. An option that won’t involve a trip to a clinic or doctor’s office? Selling your house. If you live in an area that is popular to buyers, like Colorado Springs, Colorado, then now might be the time to consider selling your house. 2017 proved to be a sellers’ market and all indications are that 2018 is continuing in the same vein. So, if you need cash and you have a home, then selling your home might be a great solution. How quickly you can sell your home, though, depends on several things: the amount of money you’re willing to put into your current home and how much time you have before you can sell. If you have some money to spare, then there are things that you can do that will help you sell your home. If you have money saved that you’re willing to put towards elements that buyers want, like curb appeal (first impressions are so important) or updated hot spots like the kitchen or bathrooms (these areas show their age faster than any other location in the house), then you’ll most likely be able to create a home that’s appealing to buyers and that you can sell quickly. However, if you’re in a situation when you know that you need major repairs on your home or you’d rather not spend your money on a house you want to sell, then you’ll need to look for other options. The best scenario is to find someone who is willing to buy your house as it is, with no upgrades needed or cosmetic changes. 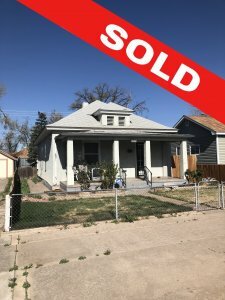 At Fast Home Options, we buy houses in Colorado Springs in any condition. You don’t have to sink more money into a home that you’re trying to sell. We’ll buy your home and give you a fair cash offer. If you’re in a situation where you have plenty of time to sell your house, then that’s great. It’s no secret: Selling your home can be very time-consuming. One of the most common mistakes that people make is assuming that the selling process is a swift one. In most cases, it’s not. Buyers can drop out, contracts can fall apart and your realtor may go AWOL, leaving you wondering where the months have gone as your home sits on the market. If you have months to wait, then you can weather the ups and downs of the process and make your way to the light at the end of the tunnel. You’ll be able to wait for the perfect buyer and ensure that you’re getting a fair price on your terms. That’s the best-case scenario. In many cases, time is of the essence when you need to sell your home in Colorado. Perhaps you’re trying to avoid foreclosure or are upside down on your mortgage; maybe you’re in the midst of a divorce or are relocating to a new place. Whether it’s a financial or personal reason, there are many situations where time is the most important factor in selling your home. You can’t afford to wait for the perfect offer or for a realtor to find a buyer. At Fast Home Options, we have the means to solve your problem quickly. We can make you a fair cash offer, sometimes within hours of reviewing your home. If you need to move quickly, we can close in as few as seven days because we pay cash for your home and don’t have to rely on traditional bank financing (which takes even more time). The bottom line is, selling a home should be easy right now — in theory. Though real estate has been rebounding since the mortgage crisis, the reality is that selling a home still takes time and, unfortunately, money. 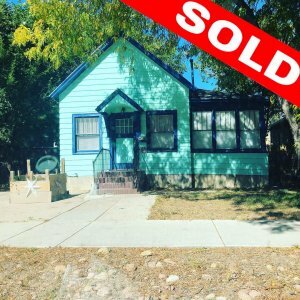 If life has thrown pothole in the road for you in the form of a foreclosure or the death of a family member, you may need to sell your home in Colorado Springs quickly. At Fast Home Options, we’re ready to give you a fair cash offer for your home, in whatever condition is it. We’ll take the stress out of selling your home. You’ll be back on the road in no time, but with some extra cash to take care of the next bump that might pop up. 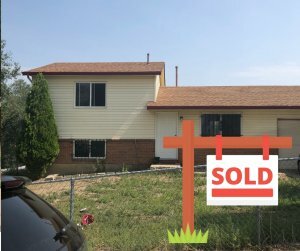 To learn more about selling your home in Colorado Springs, visit fasthomeoptions.com and fill out the short form or give us a call at (719) 358-2494.